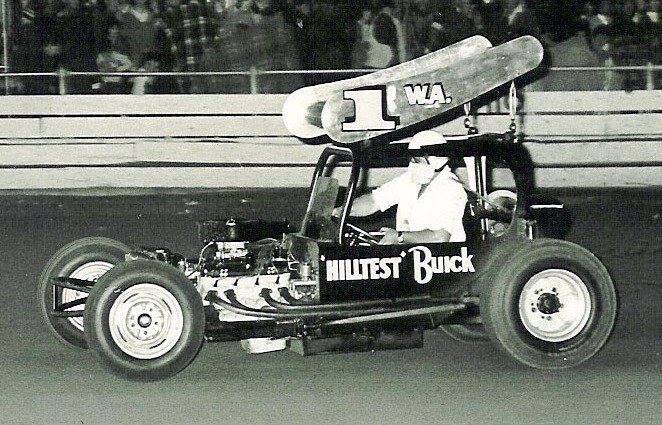 Laurie Hillary from the RDA takes out the 63-64 West Australian Supermodified Championship at Claremont Speedway. 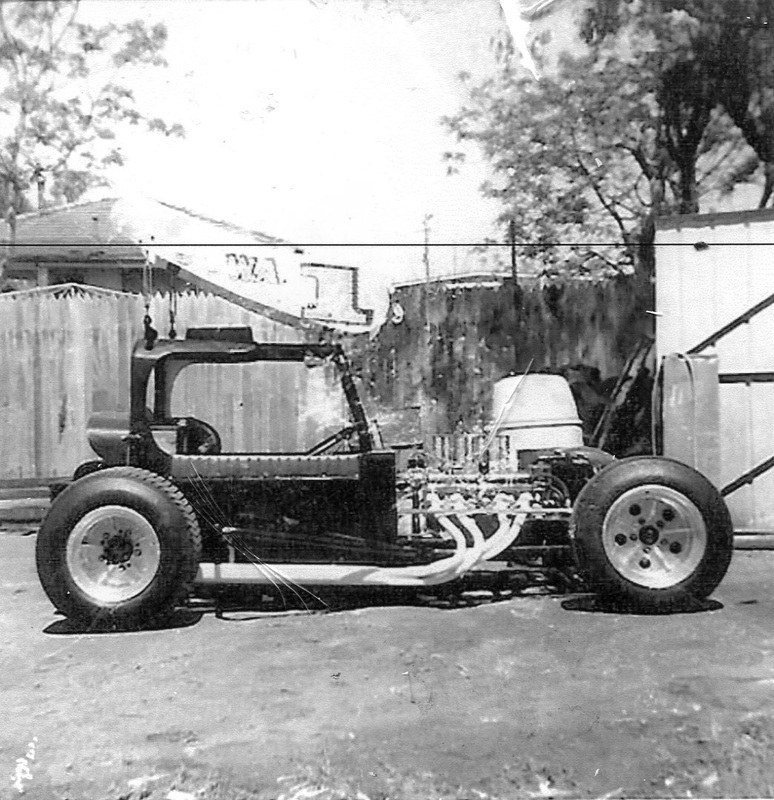 1965 - Eric Dyson's Swamp Rat modified in the pits at Wattle Grove Speedway. Photo: Adrian Clement's. 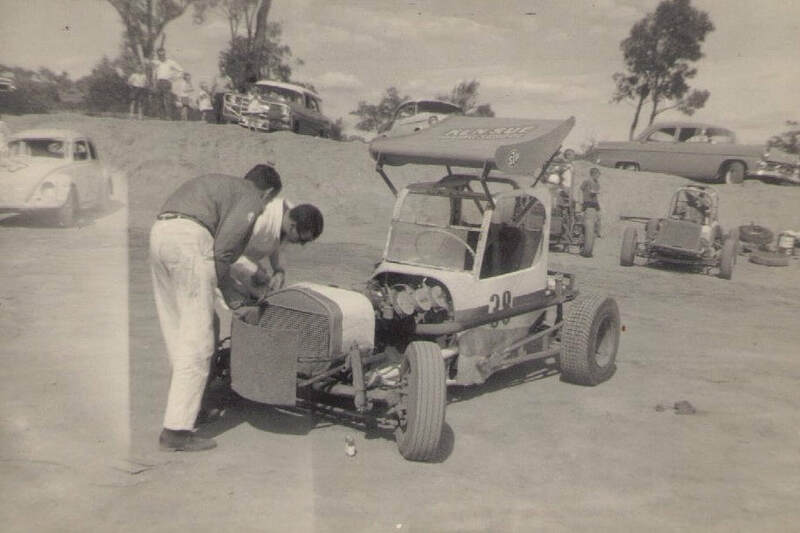 1968 - Ben Ludlow with his number 9 Modified in the Wattle Grove pits. Photo: unknown. 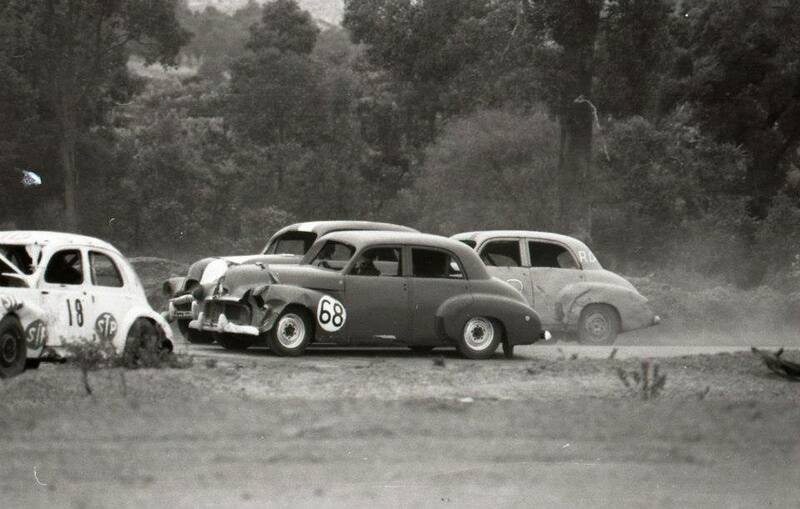 1969 - The long lens of Peter Roebuck caught the hard charging Gordon Todd locked in battle. Photo: Peter Roebuck. 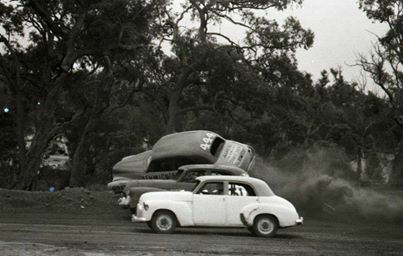 Glen Joyce recalls: above is a photo pf us kids standing in front of Dads "Reg Joyce" 48 series Holden at home, Below is a photo of it at Wattle Grove on the grid, Later Reg would move to Victoria and commence his career racing mini's. 1972 - Kevin Wheeler leads. Photo: Kevin Wheeler collection. 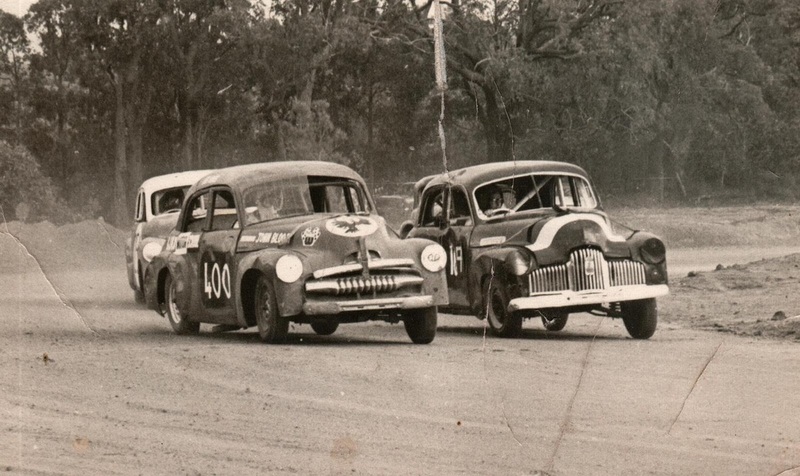 Doug Tunstall gives Ken Anderson some anxious moments during a first division saloon car event at the 620 yard Wattle Grove Speedway. Photo: unknown. 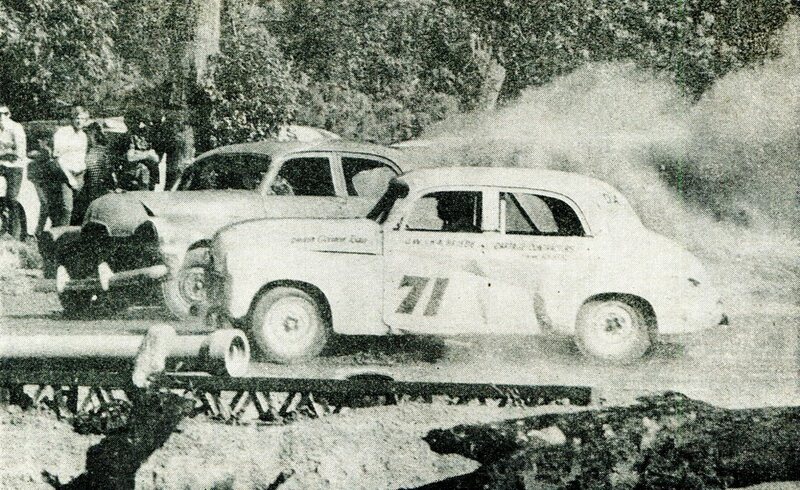 1973 - Kevin Wheeler in his Stock Production FC Holden at Wattle Grove Speedway. Photo: Keven Wheeler collection. Ray Palmer recalls: I was about twelve years old when these photos were taken. Ray Hale recalls: When I first started racing as a young bloke at Wattle Grove Speedway, I remember one meeting a few of the big production drivers from Claremont turned up, during one of there races there was an accident on the track and a fair bit of confusion, some of the damaged cars returned to the pits, one of these being Allan Blake in his Torana with a flat tyre, Allan's crew were straight onto the problem changing the wheel in a flash, at this point an official who was standing near-by noticed Allan's crew-man with a wheel under one arm and a wheel spanner in the other hand, the official rushed to the car yelling don't change that wheel, its against the rules, with that Allan told the crew don't worry about the wheel boys, we will do it later, he then drove back onto the track for a restart. 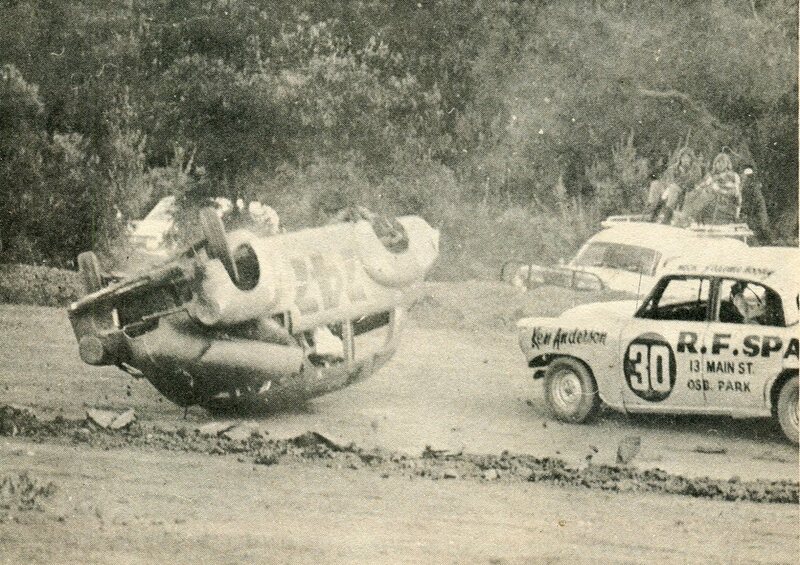 David Rees Recalls: I can remenber like it was yesterday mounting the dirt bank and rolling the car over into the pits one meeting but landing back on all four wheels, No problem I thought, so I drove back through the pit gate and onto the track only to have the black flag waved at me, Get off son, seems they thought it was a problem. 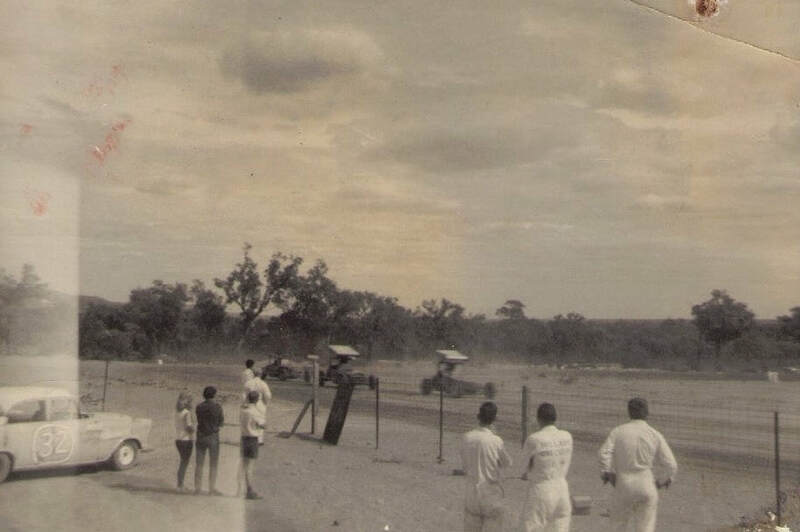 The Wattle Grove Speedway site is now just a flat oval area with some slight corner enbankments in the rough shape of the track in amoungst the heavy scrub, a house has been build on part of the property, but the rest remains just a memory to those who built the track and raced there.